President John F. Kennedy. 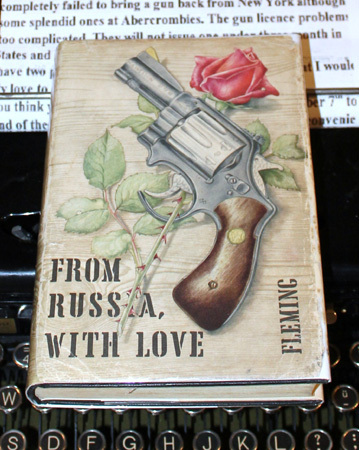 Kennedy was known to be a big fan of Fleming and listed From Russia With Love as one of his top 10 favourite books. Bizarrely, both Kennedy and his assassin Lee Harvey Oswald are believed to have been reading Bond novels the night before Kennedy was killed. The James Bond 007 series of books written by British author Ian Fleming were mildly successful in the late 1950s and early 1960s. After Fleming met President John F. Kennedy, the books became extremely popular in the United States, resulting in a series of 007 movies. What was the relationship between Kennedy and Fleming? What did Kennedy do to make the books popular? Ian Fleming served in British Intelligence MI6 during World War II. From this experience, he learned the workings of the system of spying and the secret service. He started writing his series of James Bond books around 1952 and wrote a book every year or two until completing 14 books. Fleming was somewhat dashing and had many friends within British government. Thus, he was invited to a party in Washington D.C. held by newly elected American President John F. Kennedy. 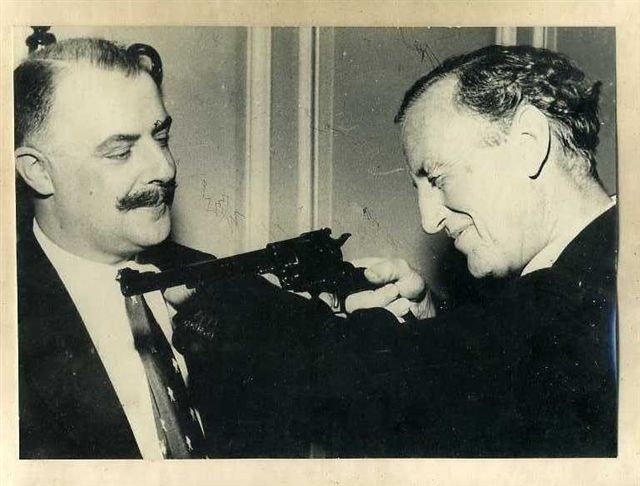 Fleming was introduced to President Kennedy, and in their conversation, he told Kennedy that he had a way to get rid of Fidel Castro, the Communist leader of Cuba. 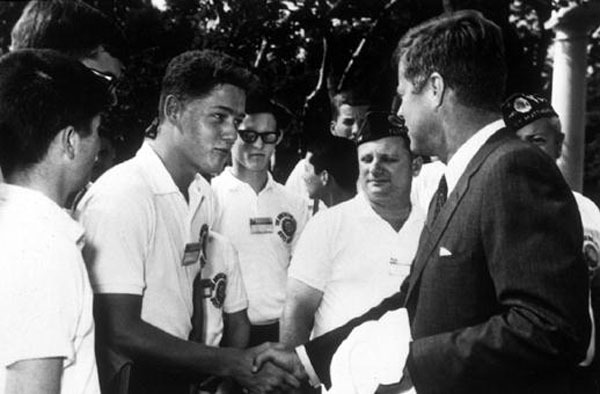 This piqued Kennedy's interest, since Castro had been a thorn in the side of Kennedy. Fleming said that Castro's beard was the key. Without the beard, Castro would look like anyone else. It was his trademark. So, Fleming said that the U.S. should announce that they found that beards attract radioactivity. Any person wearing a beard could become radioactive himself as well as sterile! Castro would immediately shave off his beard and would soon fall from power, when the people saw him as an ordinary person. Kennedy had a good laugh about this bizarre suggestion. John F. Kennedy was a young and fun-loving president. He had a good sense of humor and certainly enjoyed a joke or two. His style and grace caught the Country by storm. When he found out that Fleming had written some spy stories, Kennedy promised to read one. 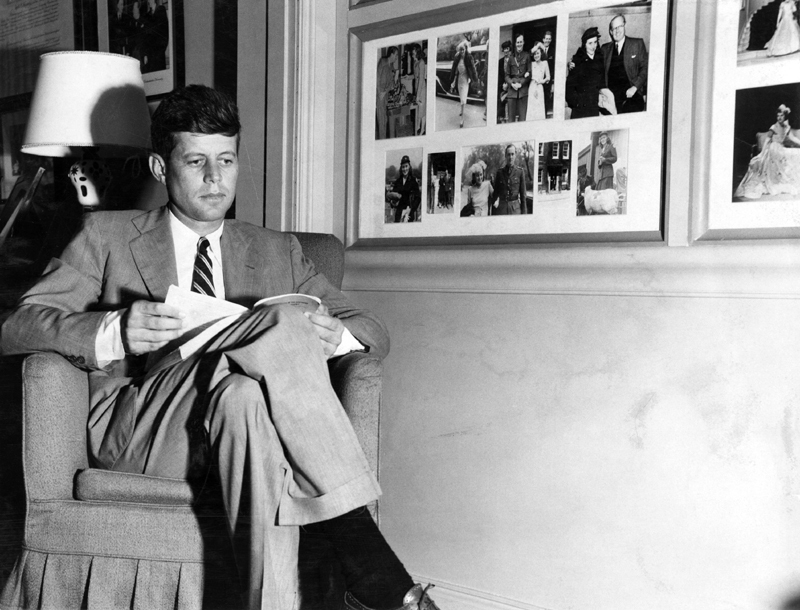 Later, in a press conference, a reporter ask President Kennedy what type of books he liked read. He said his favorite books were the James Bond series, by Ian Fleming. Once the public found out about it, the books rose to the best-selling list. After President Kennedy was given an amusing suggestion of how to get rid of Fidel Castro by author Ian Fleming, he promised to read some of his books. 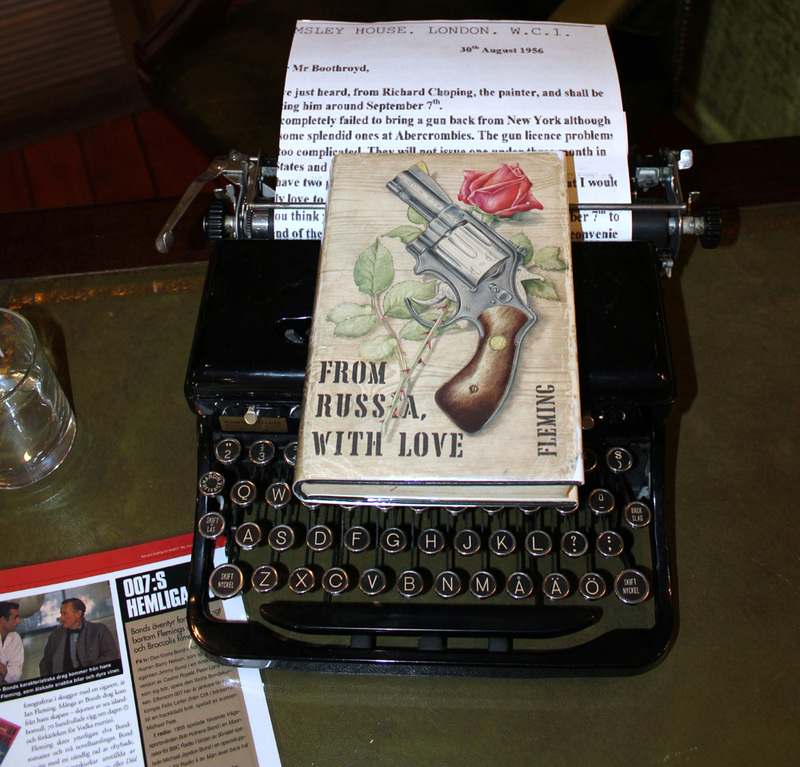 They became favorites of the President, and when this was broadcast in the press, they became national best sellers. Det hela kan nog enklast förklaras med att det var ett antal händelser som sammantagna gjorde allt till den succé det hela är idag. Först, naturligtvis, Ian Flemings oftast underbara intriger samt valet av huvudperson, den hemlige agenten med numret 007 i Hennes Majestäts Hemliga Tjänst. Men det skulle inte räcka. Något som satte fart på försäljningssiffrorna var när USA:s president John F Kennedy talade om att han alltid hade den senaste James Bond-thrillern på sitt nattduksbord. Plus det faktum att några år senare ett par filmproducenter av klass fick tag i Flemings böcker och gjorde film av dem. En viktig person i Ian Flemings thrillers är vapenexperten Geoffrey Boothroyd som var en verklig person och som tagit brevkontakt med Fleming och förklarat för honom att “om han ville att Mr Bond skulle överleva fortsatta uppdrag måste han byta vapen från sin Beretta till en Smith & Wesson. Våren 1960 träffade han Ian Fleming via gemensamma bekanta, en av sina mest kända läsare: senator John F Kennedy, som senare samma år skulle väljas till USA:s president. Under en middag blev Fleming och Kennedy goda vänner. Fleming träffade även hans bror Robert Kennedy. Ian Fleming skickade bröderna Kennedy var sitt signerade exemplar av sina Bondböcker. Tidskriften Life publicerade en lista, där president John F Kennedy listade sina tio favoritböcker. Ian Flemings From Russia, With Love fanns på nionde (9) plats. året var mars 1960. Plötsligt var James Bond riktigt känd i för almänheten i USA. Försäljningssiffrorna för Flemings böcker blev en succe. 1. Why was Fleming invited to Kennedy's party? 2. Why was Kennedy amused by Fleming's suggestion about how to get Castro out of power? 3. 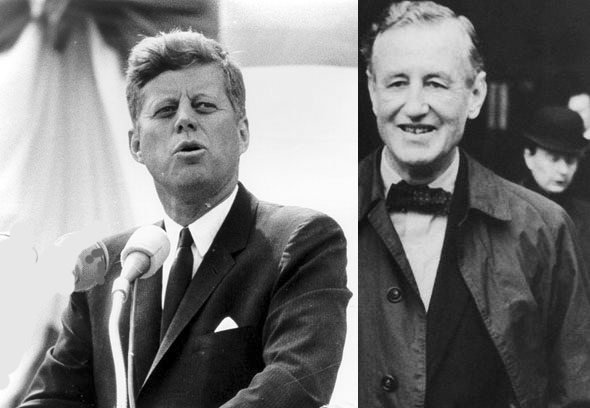 What did Kennedy do after speaking to Ian Fleming? If you got all three correct, you are on your way to becoming a champion in learning from history. If you had problems, you had better look over the material again. The following are resources on this topic. Do you have any questions, comments, or opinions on this subject? If so, 007museum@telia.com with your feedback. We will try to get back to you as soon as possible. Feel free to establish a link from your web site to pages in this site. Please include it as a reference in your report, document, or thesis. Also, tell a friend about this material.